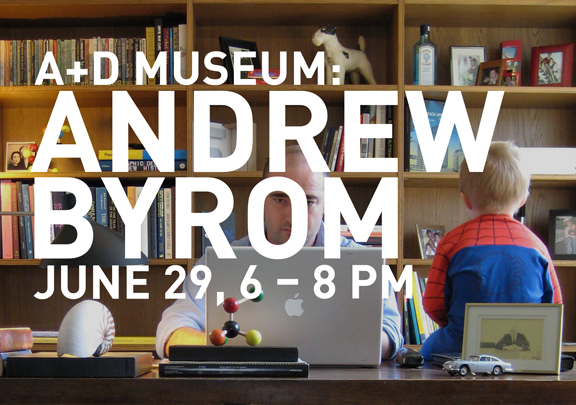 I met Andrew Byrom about a year ago when he gave a short talk at Pecha Kucha Night in Los Angeles. His creatively innovative and non-traditional approach to experimental typographic design really blew me away: I had never before seen work like his which blurred the edges between graphic design, scupture, and conceptual/perfornance art. There’s really no easy way to describe his work. He just let me know he’s giving a presentation on June 29th at the Architecture and Design Museum. If you’re interested in what’s happening on the cutting edge of typographic design, don’t miss this event!